Last Friday, Port of Oakland staffers recommended moving forward with a ballpark at the Howard Terminal site near Jack London Square. As you may recall, a group of business leaders calling themselves Oakland Waterfront Ballpark LLC submitted a bid for an exclusive negotiating agreement in early January. The port commission vote is scheduled for March 27 and, if it passes, it gives Oakland backers something that not even Wolff can claim with San Jose — total site control of 50 acres of prime waterfront property. When that is complete, OWB and other Oakland ballpark boosters can start the site’s environmental impact report, as well as talks with state agencies about land use issues there. A’s co-owner Lew Wolff, as usual, alternates between radio silence on the issue to outright denying that Howard Terminal is viable, referencing “studies” that he has done there, but has yet to release publicly. Maybe he’s just selling “Wolff Tickets” because very credible Oakland business leaders — including Clorox CEO Don Knauss, developer Mike Ghielmetti, and former Dreyer’s Grand Ice Cream CEO T. Gary Rogers — want it to be the next home for the A’s. And there’s a lot of momentum for other projects on the Oakland waterfront, near Howard Terminal. Last week, a $1.5 billion dollar development broke ground at Oakland’s Brooklyn Basin site, just south of Jack London Square. Also, it has been announced that a major entertainment center — featuring a bowling alley, a beer garden and bocce ball courts — is being planned at the old Barnes & Noble site at Jack London Square. The investors of these developments not only believe in the potential of Oakland but have committed serious dollars behind it. The new housing and entertainment center could serve a ballpark quite well. Imagine having a beer and playing bocce ball prior to an A’s game on a warm Saturday afternoon. Sounds good to us. The Oakland ballpark train has gained steam and is about to move faster with committed, dedicated corporate leaders with deep pockets. Now, it’s up to Wolff if he wants to join the fun or sell to someone who will. In what has become a disturbing and far too frequent trend, Oakland A’s managing partner Lew Wolff has given A’s fans little but unwanted confusion and controversy when instead he should be promoting the team. The March 2014 edition consisted of Wolff spouting off last week about how he seeks a temporary ballpark if Coliseum lease negotiations do not go his way. To us, this could be the most absurd idea, among many, to ever slither out of Lew’s lips. Oakland fans have a well-deserved reputation as one of the loudest, most enthusiastic fans in all of baseball. You only need to flashback to the 2013 playoffs and remember 48,000 standing, towel-waving die-hards to know how much energy Oakland fans bring. A temporary stadium would only serve 20,000, maybe even less. 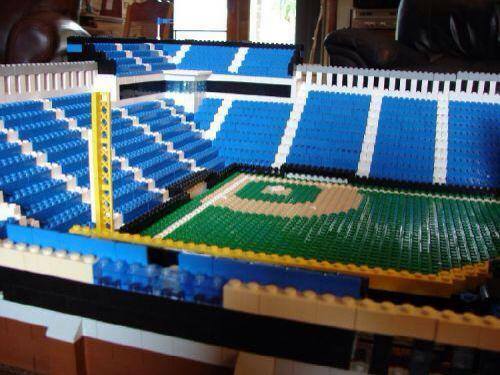 That would heavily cut down on the noise and atmosphere that makes A’s games so great. Also, it would severely disappoint A’s fans and their expectations of what Major League Baseball should be. Sure, the Coliseum is nearly 50 years old and not without its flaws, but it’s still a solid MLB park with MLB facilities. Fans do not want to go to a Major League game and get minor league treatment. If one thing is clear about Wolff it’s that he values luxury boxes and premium seat sales over anything else, even the average fan. (Heck, especially the average fan.) So why move to a temporary facility that has no luxury suites and premium seats, let alone established traffic/transit ingress and egress. Also, dropping capacity down to 20,000 will significantly hurt team revenue, limiting the budget even further. And Lord knows neither Wolff or Fisher would want their more than $20 million a year in team profits messed with. We’ve never believed the claim that the Coliseum scared away prospective free agents. That’s fiction. The reality is that bad managers (paging Bob Geren) do much more to scare away players. If you pay a player what he feels he’s worth to play for a contender, then anybody will sign anywhere. Ask Coco Crisp, who just re-upped with the A’s for a few more years, instead of “fleeing” the Coliseum. The one exception to that argument might be Lew’s wacky temporary park idea. It’s such a laughably bad idea that’s it’s almost guaranteed to keep players away. If by some miracle San Jose’s silly lawsuit (as tacitly approved by Lew) was dismissed today and he got approval to go to San Jose, playing a few years in a temporary park would mean that Lew would have to start from scratch. We can guarantee many loyal A’s fans would not follow the team to a temporary stadium. And newer fans in San Jose won’t jump to a temp park either. This would leave Lew to try and build a fan base from scratch in an area that, historically, is very Giants heavy. It all would be a far cry from the cash windfalls that San Jose’s tiny but vocal group of boosters claim would be made. We’ve probably given this thing more attention than it deserved. It’s all just another part of the long-and-winding road that this bad ownership has asked fans to travel. It’s time that Lew either starts working with Oakland stadium supporters or sells to someone who will.